Alberto Blanco is one of Latin America's most acclaimed poets and his interests range from chemistry to art to jazz. Poet José Emilio Pacheco has written of Blanco that "in his poems, nothing is lost...everything streams into his words." Blanco has published more than two dozen books of poetry as well as essays on art and books for children (some illustrated by his wife Patricia Revah). He has won numerous awards including the "Alfonso X el Sabio" from San Diego State University in 2002 for excellence in literary translation. 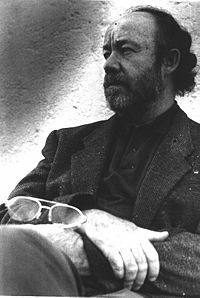 In 2008 he was awarded a Guggenheim Grant for his poetry. His interests and work have taken him around the globe. He has pursued Asian studies with a specialization in Chinese culture, and he accepted a residency in Italy that was funded by the Rockefeller Foundation. es que no eres mexicano. it’s because you’re not a Mexican.